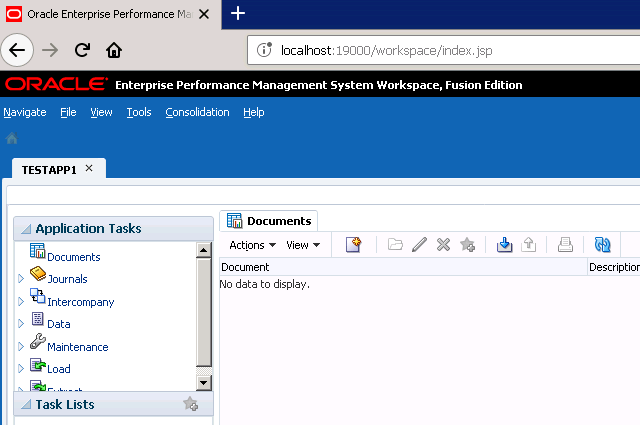 I have recently created a sample HFM application in EPM 11.1.2.4 environment. While there were no issues during the creation of the application itself, I ran into some serious issues when opening the application. The system threw the following error message, and wouldn’t open the application. The error message wasn’t terribly helpful, but fortunately the log files in the epmsystem diagnostics folders had some clues in them. I looked at the HFM log folder, and found out that the issue was somehow related to the TNS names file. I checked the tnsnames.ora file to see if it has all the DSN entires setup properly, and in this case they looked ok.
All the DSN entries seem to be accurate. At this point, I was stumped. The TNS names file was in the right folder, and contained the right entries. Yet, HFM seems to think there is an issue with it. What gives!!? My colleague Shantan Kommera chipped in at this point and asked me to check if I was able to tnsping the entries in the TNS names file. 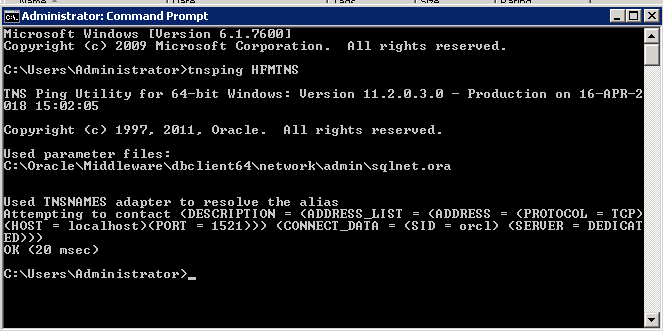 TNS Ping failed, indicating to me that oracle client is unable to hit the database. I tried to TNS ping, and sure enough, it failed with an “unable to resolve” error. This is a good sign because now I have narrowed the problem and can investigate why the database is unreachable. 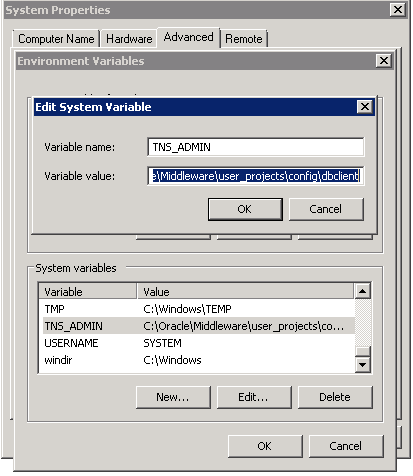 A quick study of my notes and some help from google indicated that the “System variables” on my windows server may not have an entry for the TNS_ADMIN variable. Add this entry to your environment variable. 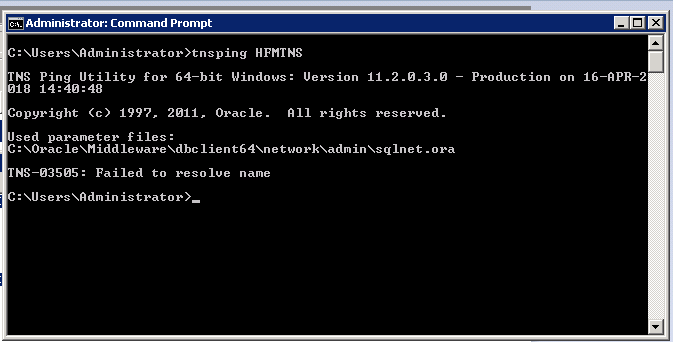 Once the above steps are performed, restart the oracle database and try the tnsping again. It was successful for me this time around. Once you have established that the tns ping was successful, you need to restart your Epmsystem for the changes to take effect. After the restart, I opened the HFM application that failed in the beginning and viola, it was working perfectly, as it should. Successfully opened the HFM application. If you have encountered similar issues with HFM, hopefully this article can help you. Feel free to contact me if you need any additional info, or if you have any questions. Rajesh Valluri is the author of this article, and had help from Shantan Kommera.